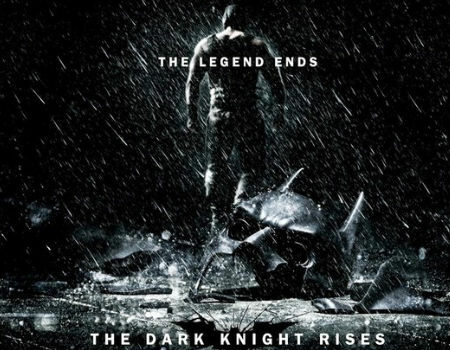 The Truth About Music » Opinion: Does Dark Knight Saga Rank Amongst All Time Trilogies? Opinion: Does Dark Knight Saga Rank Amongst All Time Trilogies? rk-Knight-Rises-Poster1.jpeg” alt=”" width=”360″ height=”280″ />2005 seems like a long time ago. It was in June of that year that we first met The Dark Knight. Batman Begins, a weak attempt at a origins Batman story, left doubt in most moviegoers minds. Who could have imagined how much would change for Batman over the next half a decade, as Christian Bale and Christopher Nolan helped to redefine the super hero movie. What has always made Nolan’s series great were the villains. The Joker. Bane. Even Ra’s Al Ghul. All of the villains of Batman made it an amazing series. Filled with real life tragedy, the series turned hard to imagine villains into real life terrorists (see: How Christopher Nolan Fixed The Superhero Movie). Nolan has already claimed that he will not be involved in a fourth movie in this series and there are plenty of reasons to believe that Bale will feel the same way. Now, the question rises. With the trilogy complete, where do these three movies rank amongst Hollywoods all time trilogies? An accomplishment onto itself, completing a trilogy is no easy feat. With budgets the way they are, a vision for three movies isn’t enough. Movies have to show promise and be profitable. Among the all time greats sits trilogies like Star Wars, Lord of the Rings and The Godfather. These three lead a pack that also includes Terminator, The Matrix, Back To The Future and The Bourne Trilogies. Now we pose the question to you. Where do you believe The Dark Knight (Batman Begins, The Dark Knight and The Dark Knight Rises) trilogy ranks among the all time greats? Nolan’s trilogy is not better than the Star Wars trilogy, but it’s better than LOTR. Then again, I don’t like LOTR.